Build the bedroom and open the coffin to find Draculaura® just hangin’ around, or spin the back wall and discover her adorable pet bat, Count Fabulous®! 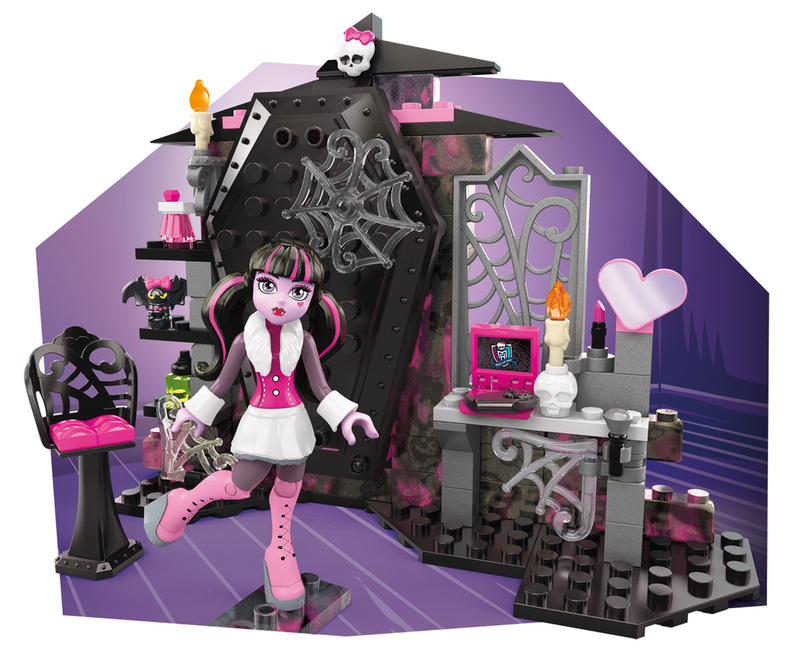 This creepy cool set lets you to display Draculaura® in many different ways. Sit her in the makeup chair and use the makeup accessories to help her get ready for a heart-stopping night!